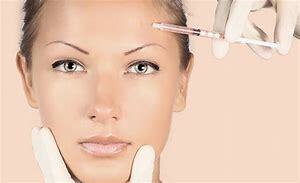 Botox is a medication created by purifying the bacteria responsible for botulism in food products. Since the bacteria has been purified, it does not pose a risk to the patients when properly administered. The medication is administered through injection – most commonly on the face and frontal scalp region. It can, however, be administered in other sites throughout the body. The second most common place for injection is under the arms, where Botox is used to treat excessive sweating in both men and women. The reason these injections work so well is double-sided. First, it can temporarily paralyze or weaken certain muscles. Second, it has the potential to block certain nerves. 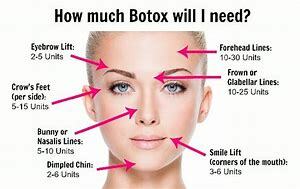 For these reasons, Botox is used in the treatment of numerous conditions. It’s most common use, however, is to increase the youthfulness of a person’s facial appearance by decrease the appearance of wrinkles. During the initial consultation, you will discuss your expectations, health history, allergies, and other pertinent information. 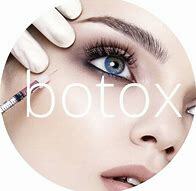 Our Nurse PA will tell you if you are a suitable candidate for Botox injections. Procedure: The procedure takes around twenty minutes and most patients experience little to no discomfort. Many choose to schedule their procedure during their lunch break and can return to work directly after. Moderate to high impact exercise should be avoided for 24 to 48 hours, however. A series of painless injections are made in the face. The exact locations will depend on the issues and concerns you discussed during your consultation. Results: Results are not immediate because the medication must do it’s intended job. This takes place over the next few days following your procedure. Most people report maximum results after ten days. Side Effects/Complications: Potential side effects are few, but could include bruising, bleeding, swelling, or general discomfort at the injection site. A small percentage of people experience flu-like symptoms after receiving Botox injections, as well as headaches or an upset stomach. Less than 1% of patients suffer from temporary or permanent drooping of the eyelids, and even fewer experience allergic reactions. Allergic reactions can range from mild to severe. If you experience any symptoms of an allergic reaction (itching, sneezing, hives, angioedema, or anaphylaxis) please seek emergency medical treatment immediately. Pricing: We charge $12.00 per unit. There is no set price because everyone has a unique situation so it depends on the person and what they are looking to improve. Guarantee: We do not offer any guarantees if you need more units from initial appointment you will be charge on how many more units is required to get the results your looking to accomplish. You deserve to Look Your Best!! Decrease the appearance of fine lines and wrinkles. This includes crow’s feet, laugh lines, and the “worry lines” which form on the forehead. Increase the firmness of the skin temporarily, which creates a more youthful appearance. Is proven to lift the brow, which can droop or sag as a result of the natural aging process. Is a minimally-invasive, non-surgical option for those who wish to improve their facial appearance without going under the knife. This also means the procedure is safer (particularly for certain at-risk populations) than other facial-enhancing procedures. Recent studies have shown that Botox injections have the potential to decrease the frequency, duration, and severity of migraines for chronic sufferers.